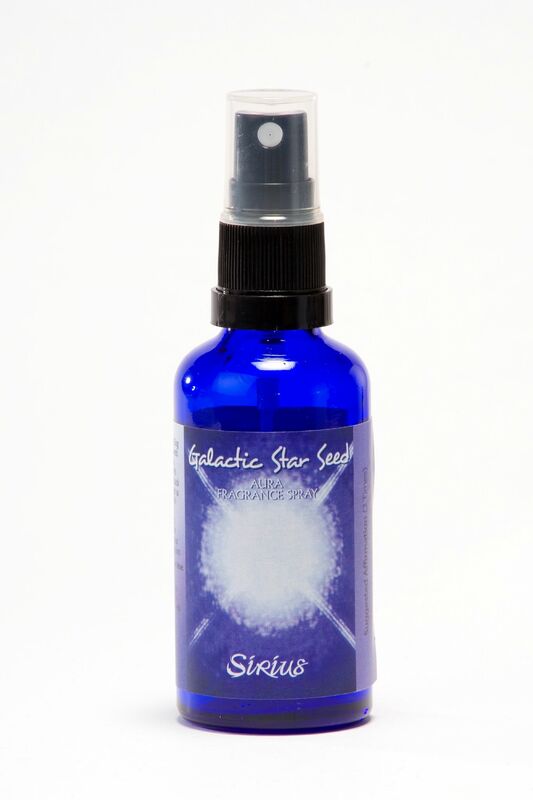 This fragrance aids connection to Sirius, also known as the Dog Star and part of the constellation Canis Major. Sirian Star Seeds first visited Earth 4-5 million years ago and lived in Atlantis, Ancient Egypt and Lemuria. Much Atlantean knowledge with regard to auras, crystal healing and subtle bodies is traced back to the temples of Sirius. Isis, the Egyptian Goddess, was seen as the greatest healer who could restore Osiris to mortality with the energy of Sirius. Its ancient energies assist Earth and humanity by forging a strong connection with the Goddess. Sirius reconnects us with a deep sense of well-being that we seek as higher conscious beings, motivating us to discover our life mission and gain awareness of the great cycles of ascension. Contains: Spring water, Organic Alcohol. Essential Oils: Peru Balsam, Rose. Gem Elixir: Sanda Rosa Azeztulite, Merkabite Calcite. Gently shake the bottle. Spray around the Aura or the Sacred Space. You may use the Aura Spray as a perfume or mist a small amount onto a tissue and inhale the scent. Do not spray into the eyes. Not to be taken internally. Keep away from young children. Do not use if pregnant. Always consult a General Medical Practitioner or a qualified Aroma therapist if you have a medical condition and are unsure of using the products. Do not use if you have been diagnosed with Epilepsy. Keep in a cool place.